There were three categories for this challenge: completed quilt, quilt top, and hug quilt. 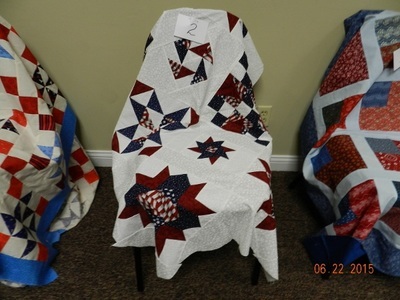 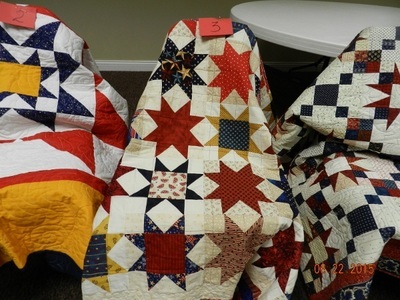 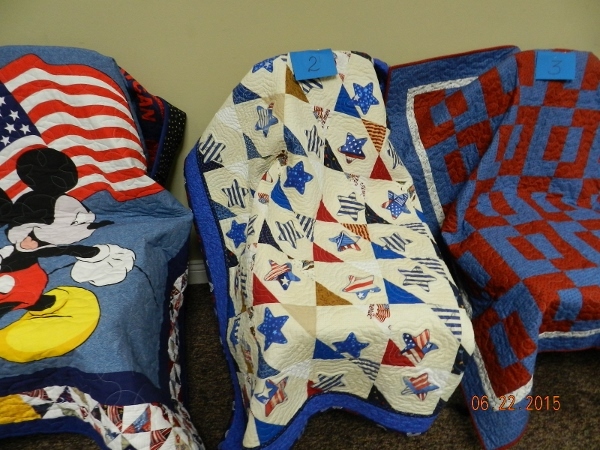 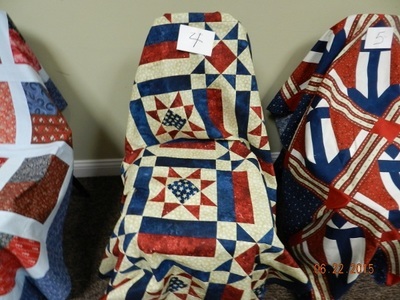 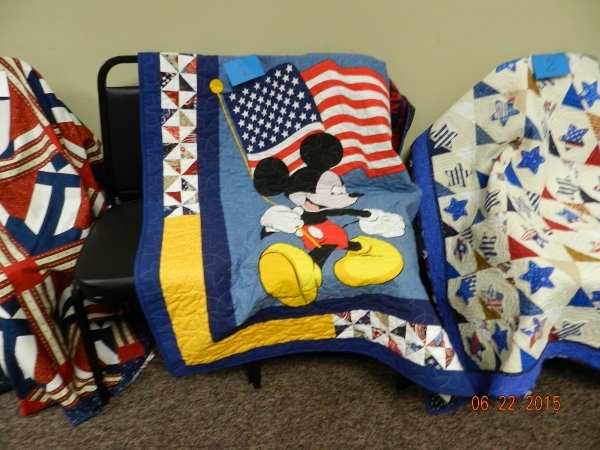 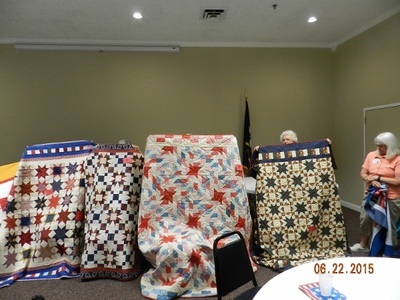 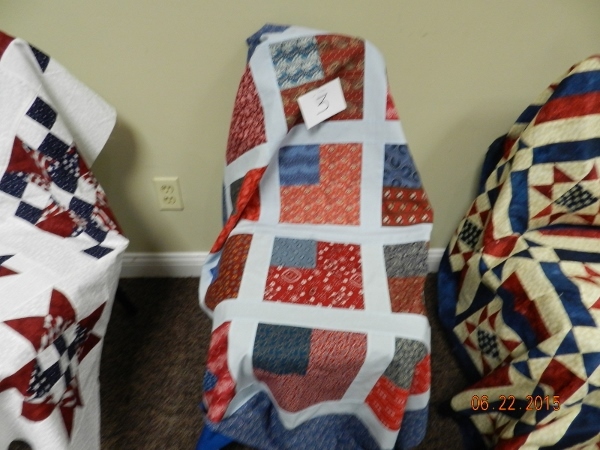 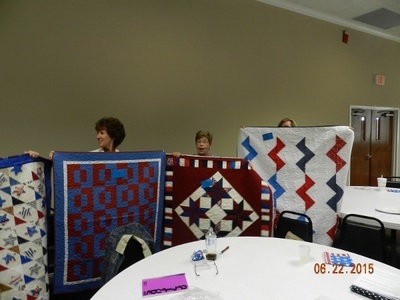 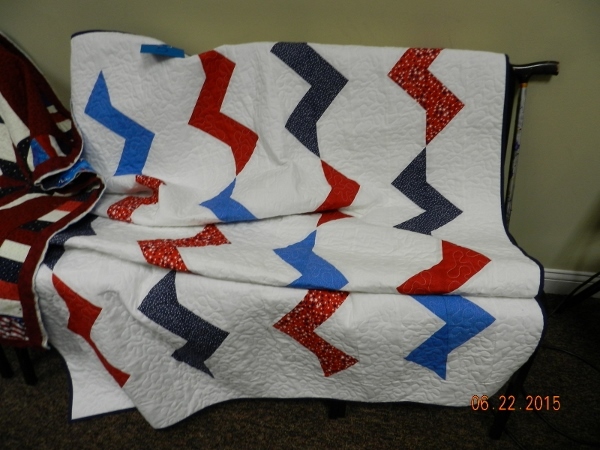 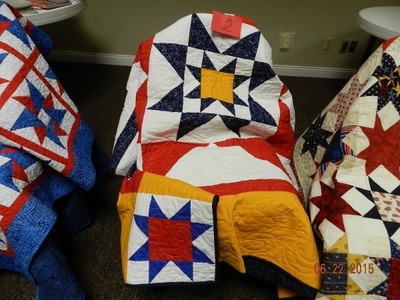 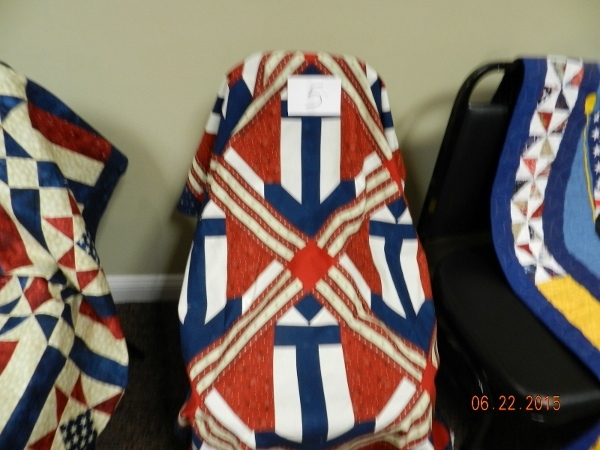 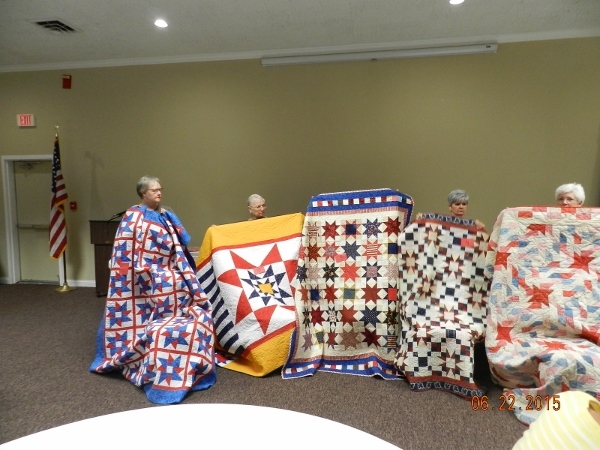 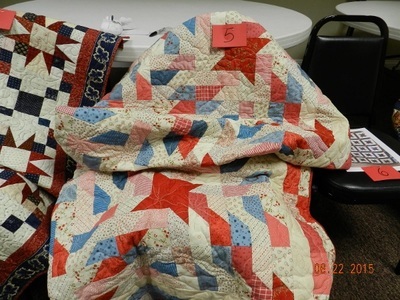 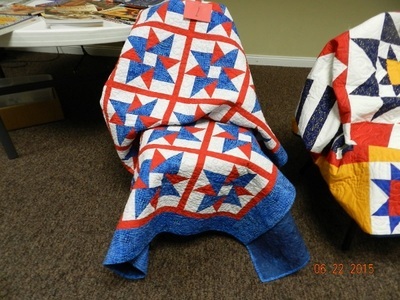 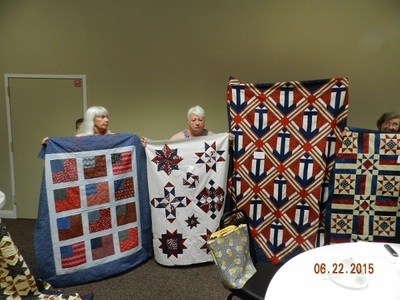 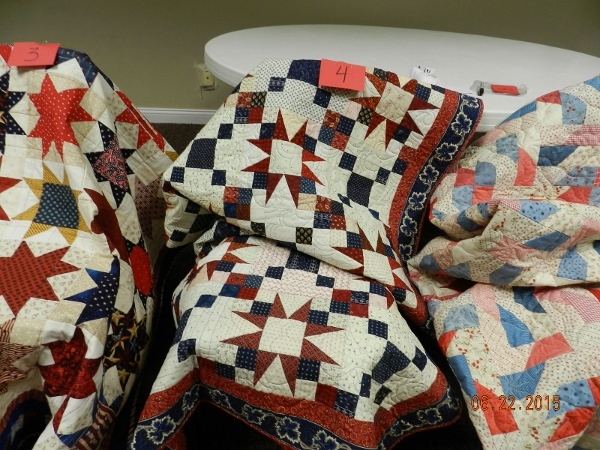 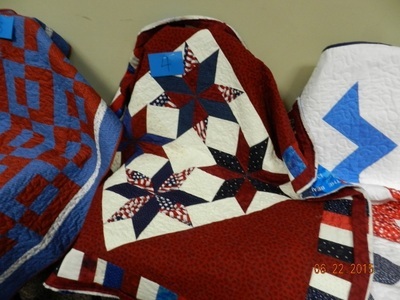 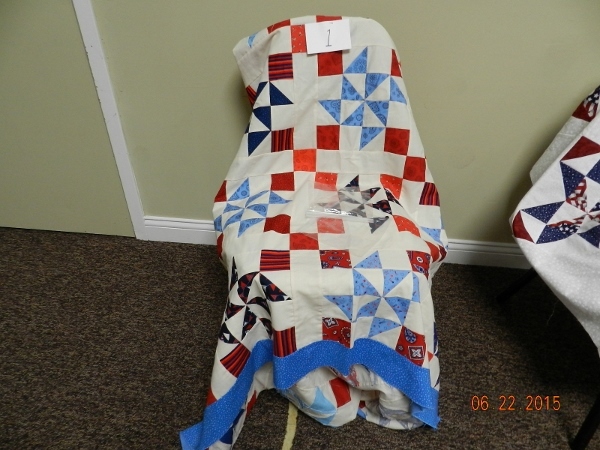 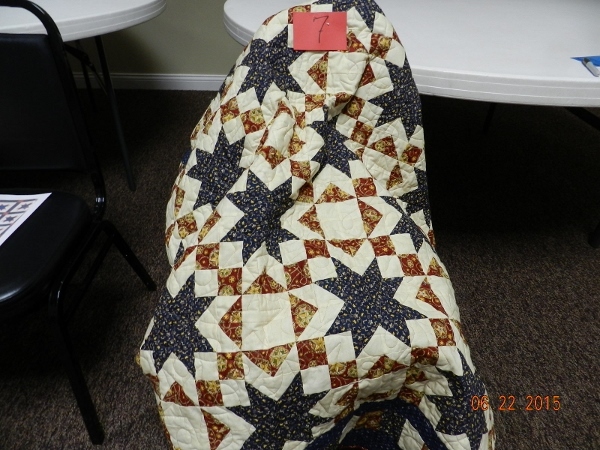 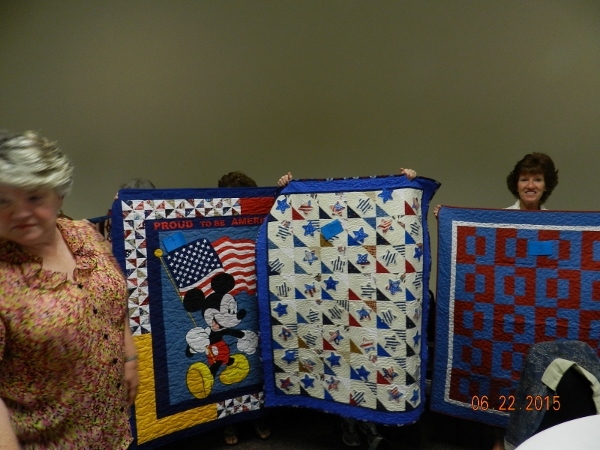 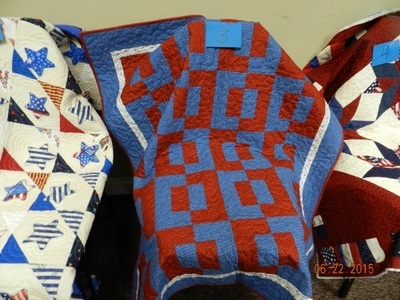 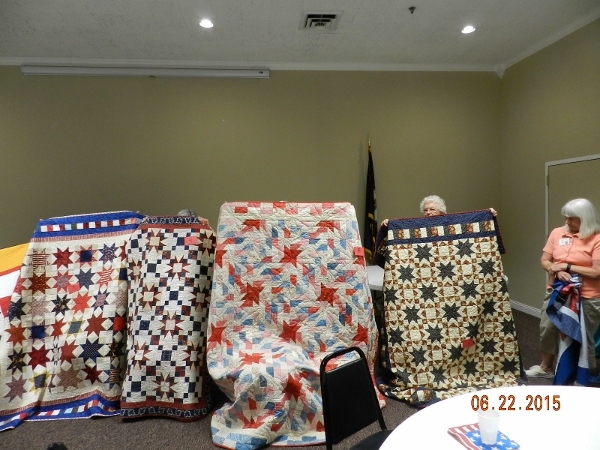 Winner of completed quilt was Susan McCombs; winner of quilt top was Jane O'Roark: Joyce Hameloth and Elaine Davitt tied for patriotic hug quilts. All entries were representative of the quality of workmanship our members possess. 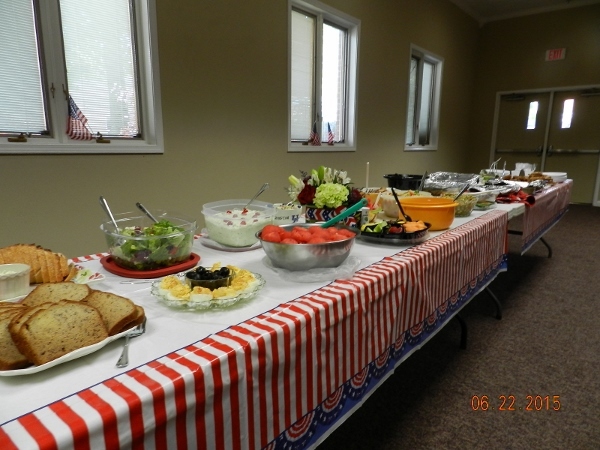 The buffet table also showed off our culinary side! 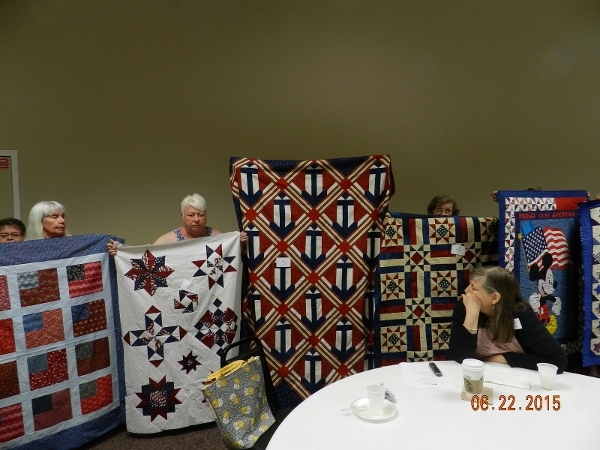 Jane, the Winner of QOV Quilt Top Challenge, presents her completed QOV to Dr. Patrick Williams. 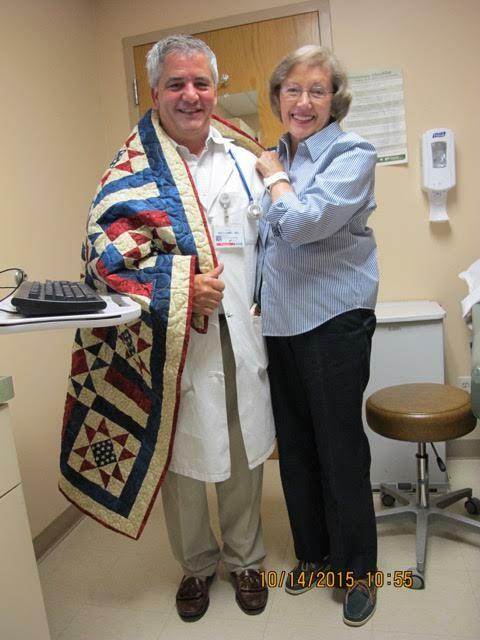 Dr. Williams is Jane's oncologist and former Operation Iraqi Freedom Battalion Surgeon. We thank you for you military and medical service!